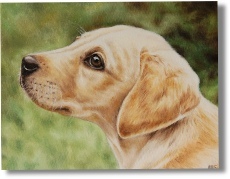 Portraits created from your own photographs of your pets and other animals. Welcome to my website where you can view examples of my work and commission your very own piece of exclusive artwork. 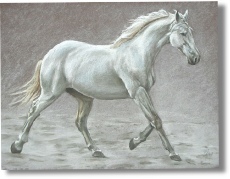 I work in pencil, coloured pencil, pastel or oil paint in a variety of sizes. I mostly produce portraits of dogs, cats and horses but I love a challenge and welcome any other types of animals. Commissioning a pet portrait is easy as I work from your pet or animal photographs which can be posted or emailed to me. Once completed, a final proof will be sent to you for approval. 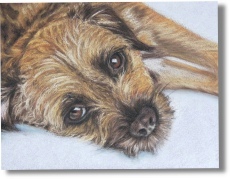 I aim to provide you with a true likeness of your pet and to create a piece of art that you will cherish forever. I am constantly updating my website with new work so please keep checking to see what’s on offer. Please have a good browse by clicking on any of the tabs at the top of the page and don't hesitate to contact me if you have any questions or would like further information.